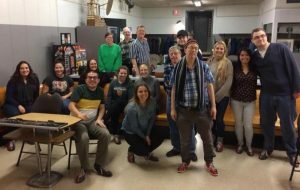 KW Habilitation and Best Buddies Canada, University of Waterloo Chapters have been fostering natural friendships since 2003. Over the years the Chapter has had the opportunity to connect with many awesome Students and Buddies alike! Best Buddies is an organization that pairs a person with an intellectual/developmental disability with a university student in hopes of developing a friendship based on their similar interests. Student Buddies and Peer Buddies agree to connect via telephone and plan biweekly get-togethers. In addition, our Chapter offers at one or two organized Group Events per month throughout the school year. Favourites include a Halloween themed Meet & Greet where students are introduced to their “Peer Buddy”. Other events have included bowling, movie night, mini golf, Wonders of Winter at Waterloo Park, Night at the Museum and Games on Tap. The popularity and success of the Chapter is indicated by the number of interested students. With many more students applying than Peer Buddies, the Chapter offers associate Buddy positions. This year we have 10 Buddy matches with several students acting as associate Buddies. If you know someone who may be interested in Best Buddies, is independent in the community and is receiving support from KW Habilitation, contact Brant Newbigging at 519-744-6307 ext. 1253 or at bnewbigging@kwhab.ca for more information.